By default, Proloquo2Go has a setting called Auto-Clear Message enabled. After you speak the message window contents, tapping a message button clears the message window. Auto-Clear Message doesn’t immediately clear the message window after reading a message. Often, listeners will miss part or all of what an AAC user says. 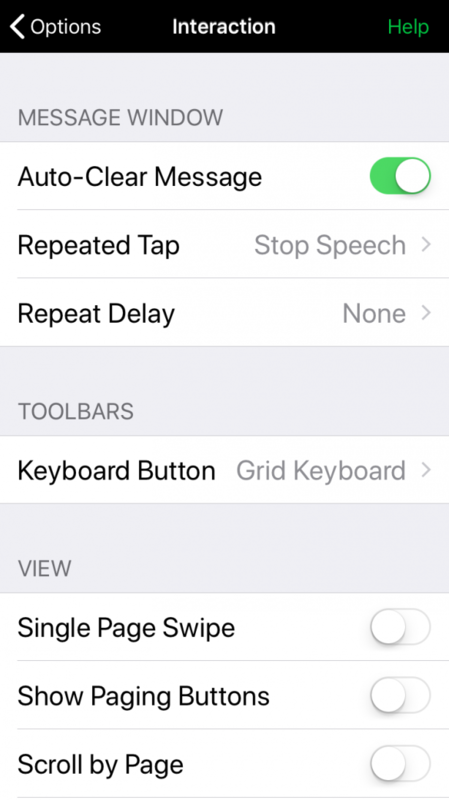 We wanted to keep it easy to repeat yourself, but also reduce the need to tap to clear the message window.